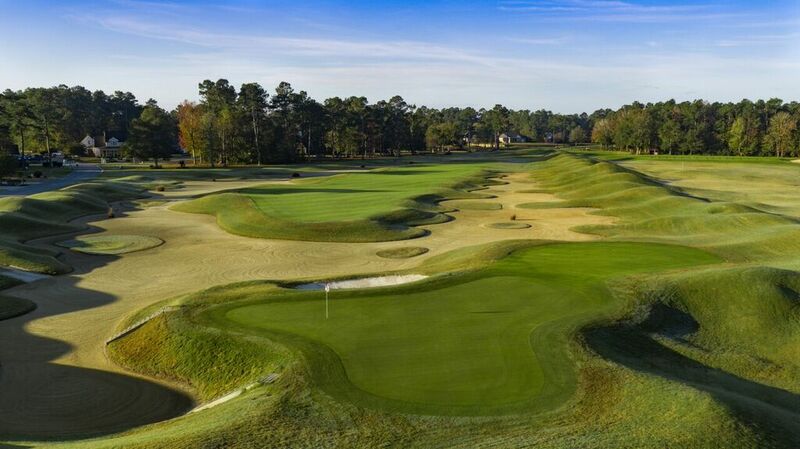 With no less than four holes featured among The Sun News’ “100 Greatest Holes Along the Grand Strand,” the Long Bay Club is clearly among the best golf in Myrtle Beach. Designed by the one and only Jack Nicklaus, Long Bay features handsome but deadly par-3s, many bottomless bunkers surrounding small Bermuda landing surfaces and countless lethal, man-made mounds near the greens resulting in one of the most challenging rounds of golf you’ll find along the Grand Strand. Despite the frustration it often creates, golfers of all types continue to flock to Long Bay Plantation drawn by its great challenges and picturesque beauty. In addition to the great name of Jack Nicklaus, the Long Bay Club features some of the best holes found in the North Strand. While challenging off the tee, this course allows golfers to take advantage of key birdie opportunities. Par is a good score on a number of the most difficult holes on the course, but the challenge is available to golfers of all ability levels. The par 4 tenth hole is a short drive through a myriad of waste bunkers, ending at a well-guarded green. The par 3 13th hole is short iron to an island green, that is sure to test your nerves. The finishing holes on both nines are testing holes, with water coming into play in both instances. The Long Bay Club is available on some great packages with the other courses of the Founders Group.